Time for a bit of rock and roll. That must be the impetus behind this Nashville trio’s debut LP. 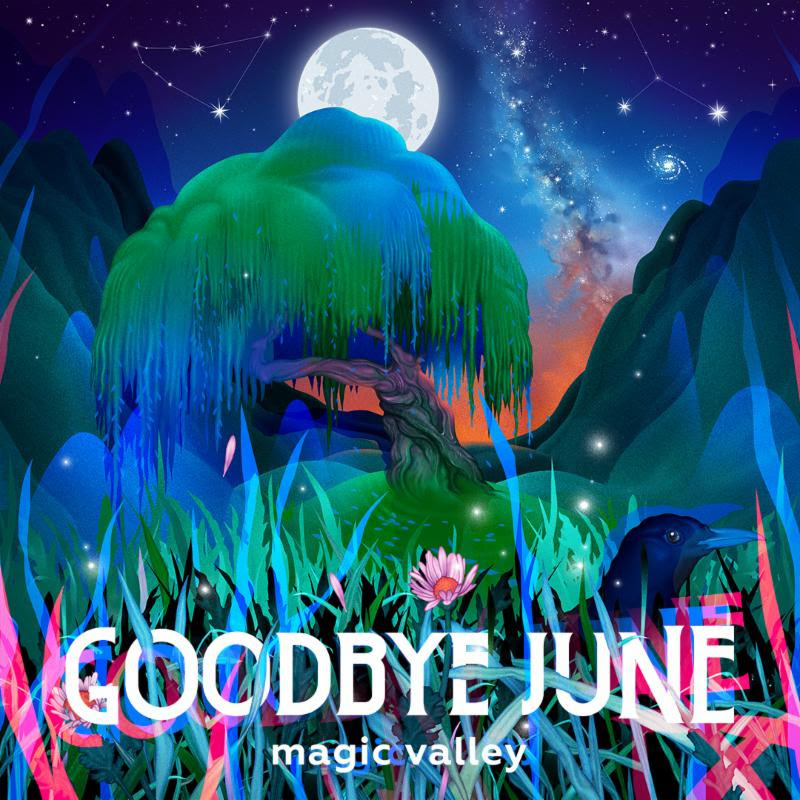 Goodbye June, we must say, sounds like they’re already on their third or fourth album – Magic Valley is a polished piece of record right here. They’ve got cookers (“Good Side,” “Bamboozler”), quiet ones (“Darling”), and just generally a good chex-mix of rock singles. Musically, think of aggravated vocals taking a hint from Angus-Young, simplified, clear guitar hooks (perhaps also a la AC/DC), and singable choruses. All in all, a good time with Goodbye June. We can look at some of the songs on here, starting with the single “Daisy.” Again – those clear, clean guitar hooks boost up Landon Milbourne’s vocals. But if we enjoy these musicians, and their lead singer, we’d have to be a bit soft on the lyrics: “Daisy” is a pretty typical song about yearning for a woman. Most of the songs here, lyrically, don’t particularly surprise, and perhaps even musically, the instrumentation is pretty straight-forward. Still, most of Magic Valley is a fun, enjoyable ride. The closer, “Fear of Jesus,” is a song we’d like to pull out as a quiet, contemplative song that perhaps tells the softest, fullest story of the eleven. It’s a little treat at the end, somewhat unexpected, and something we’d like to see Goodbye June delve into a bit more. But here, on a debut LP, Goodbye June has given their career a strong push off the dock. It’s not intricate, it’s not hugely deep; but enjoyable, yes; fun, yes; rock and roll, absolutely yes. We’re hoping their next one is as groovy as this one: recommended.